Designing Hunter’s nursery was a fun process. I gladly gave up my home office so we could start this project with a blank slate. 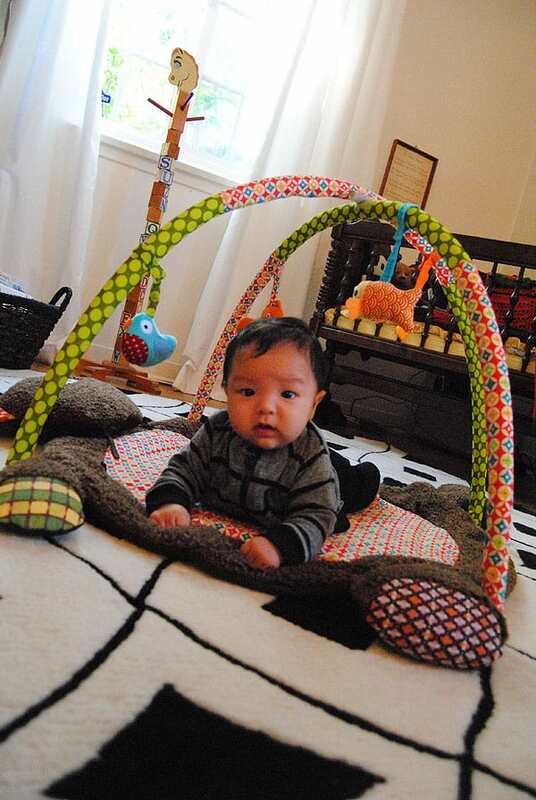 We want our son to grow up surrounded by bold colors and inspired by art. We’ve started early by designing his nursery with these two themes in mind. 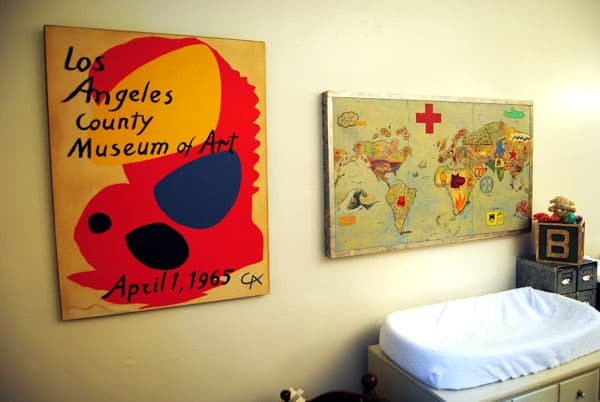 But a third narrative begin to appear as his nursery was coming together and that was, his nursery is an evolution of our childhoods with the majority his furniture and other items coming from our childhood rooms. We weren’t interested in buying a lot of “stuff” for his nursery and realized early on that there are some essentials we needed but there are a lot of modern day nursery products that we feel are unnecessary. We are fortunate to have parents who held onto a lot of these items and kept them safe which has now saved us money and naturally led to Hunter’s nursery taking on a vintage look. above photo: Hanging above the changing table is a collage from our friend and artist, Aaron Morse. It was a wedding gift and we couldn’t think of a more ideal place for it in our home. The lithograph to the left is from Alexander Calder’s show at LACMA in 1965 and we found it at a yard sale in Las Vegas a few years ago. 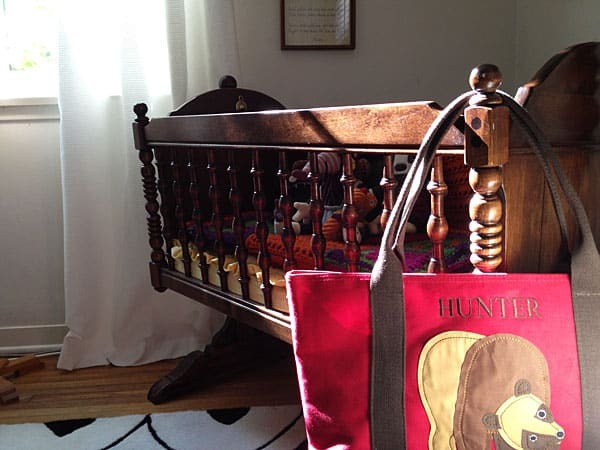 Hunter’s bassinet was Laura’s bassinet. It’s still in perfect condition. The personalized bag was a new gift from a good friend. The trunk was from my dad’s days in the military and for years it served as my toy chest which it will continue to do for Hunter. 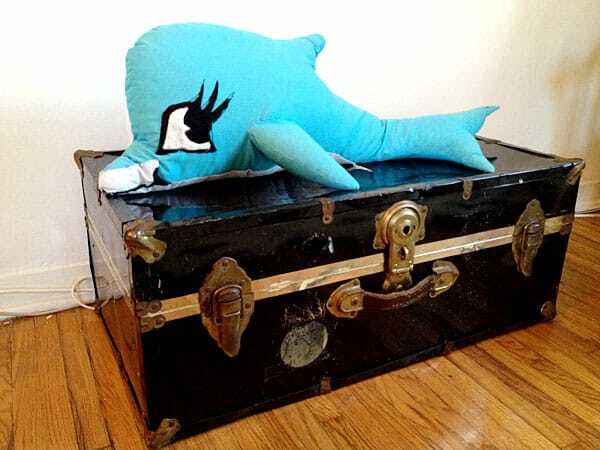 The whale on top is a handmade stuffed toy that my aunt made for me before I was born which I enjoyed every day as a baby/toddler (still has some of my drool stains). This lamp comes from Hunter’s grandma’s garage. It was sitting unused so we fixed it up a bit and it adds some color and a bit of a nautical theme. 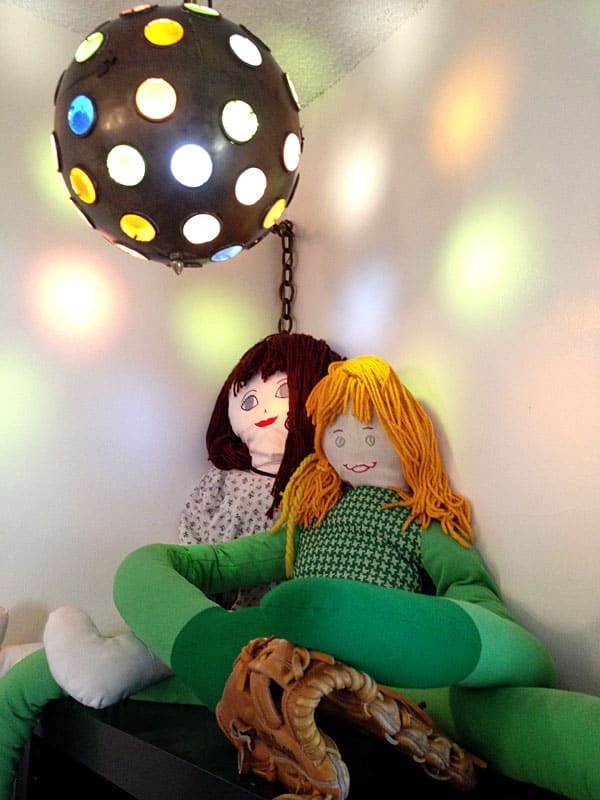 The dolls below are Laura’s and they have straps on the feet so you can tie them to your legs and dance with them. My first baseball glove is also displayed – it’s a Buddy Bell Wilson. Hunter has a lot of books that we’ve saved through the years and many of them were the first books we ever read such as the complete series of Bomba the Jungle Boy. Laura has kept her cloth baby books which are perfect for little hands to comb through. 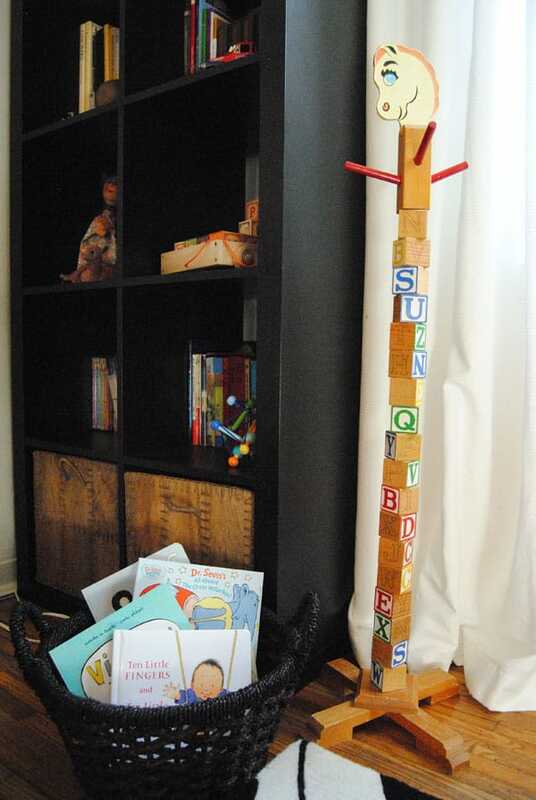 One of my most cherished childhood items is this kid-sized hat rack made of building blocks. We’ll be building this project soon. 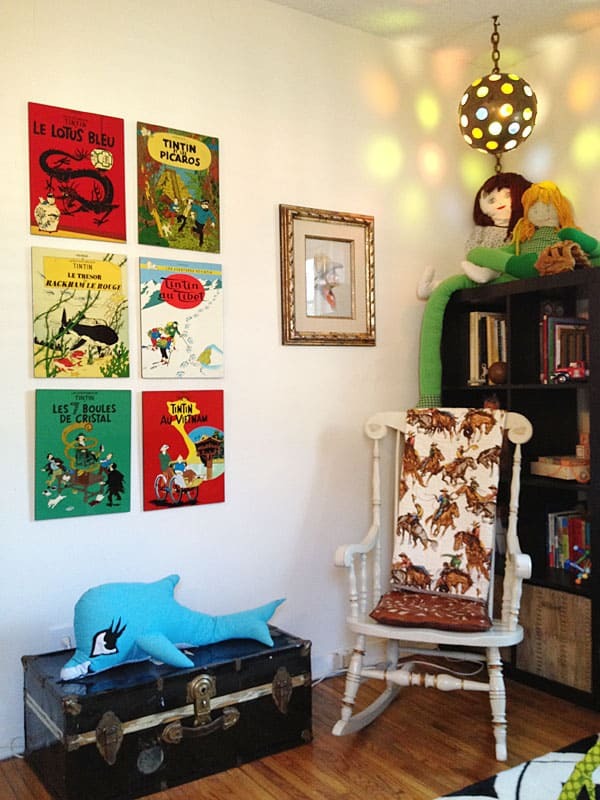 The TinTin panels we got while on a trip to Vietnam in 2006 and the rocking chair and dresser are from Laura’s nursery growing up. Our home is a 1930s bungalow which means its small and storage is almost non-existent. 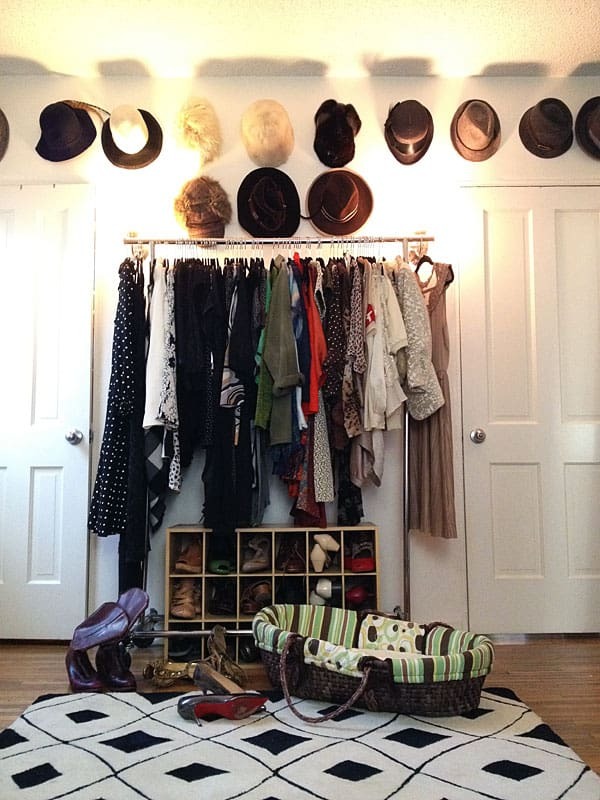 Laura makes do with her closet but the opposite wall of the nursery also serves as overflow for shoes, hats and other special pieces. With a small home we make do with what we’ve got and we think that Hunter enjoys looking at all the fun hats. Our boy loving his tummy time!